Hubba-bubba and I bought the season pass to Madame Secretary when it was first available on Amazon Prime in the fall of 2014. Apparently, we were good guessers because when you buy a season pass based on the 1st episode, you don’t know if a show will be cancelled and you also don’t know if you’ll get a refund if it lasts only 6 episodes. But tonight, we’re watching the 22nd episode and we made a good guess. We made a good guess because it’s solid. When tonight’s episode started, there were some flashbacks that made me think of Homeland. This is the opposite side of Homeland at least when it comes to American soil. We aren’t dealing with the CIA but mostly the administration and some politicians. Madame Secretary doesn’t have the shock value that Homeland does and does so well but it has other good vignettes and some pretty significant moments. I’m not sure how accurate the policy and actions carried out are but it feels real. The storyline gives way to messiness. The decisions aren’t clear cut. The consequences are tough. The friendships are strained and death and betrayal aren’t isolated. It doesn’t wrap everything up in a bow. It strays from the norm. Kudos. Tea Leoni and Tim Daly make a fantastic couple in Elizabeth and Henry McCord. There are who you would want in the positions that they hold. There are truly a power couple who you would actually want to know. Kevin Rahm, who plays Mike B. is a great addition to the cast. He’s funny and he’s so much more likable than his character in Mad Men. James Spader’s acting in the last episode (s1e15) of the Blacklist makes me tempted to rewatch every single thing he’s ever done mostly because I want to find out how he’s gotten this good. Hard work and talent, I’m sure but it’s still so mesmerizing to watch. It’s obvious that I’m a huge fan since this is my second post about this show in three days but really amongst only three total posts. I really don’t know what you’re doing if you’re not watching this show. But I grew up watching crime/detective/police shows early on with my dad. I’m pretty sure by age 6, I’d watched the A-Team, Hawaii Five-O, Magnum P.I. and the sort. So this genre is my thing and I understand that it might not be yours but it’s still so good. As I looked over at my husband last night to confirm how good this episode was especially the final few minutes by saying “That was really good, right?”, I realized that it is but I realized that I’m also invested. Hubs has been playing video games on his iPad during some of our viewing but he did stop for the final few minutes because he heard it and that was good enough to stop. In this episode titled “Tom Keen” (Season 3, Episode 16), the entire cast rocked. I enjoyed seeing Agent Ressler work alongside Reddington and actually hold his own. The subplot with Director Cooper, his wife, and Liz showed some depth and loyalty. The crazy judge, Judge Renner, played by Donald Finn and his interaction withTom Connolly (Reed Birney) was intense and makes me glad I’m not going up against Connolly in anything in real life. I felt that what Martin Wilcox (Michael Kostroff) brought to the table in terms of frustration, angst, and disbelief was quite substantial. 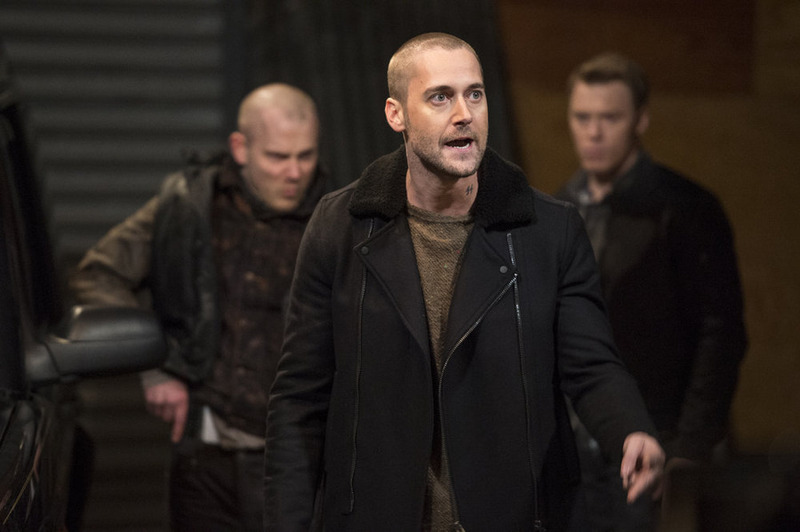 Tom Keen (Ryan Eggold) brought it. As usual, Red and Liz’s final scene was spectacular. It was wonderful to see the love that Tom Keen has for Liz juxtaposed to the devotion that Raymond Reddington has for Liz. I feel for her relationship with both men even though I know who I’m siding with, I think. I imagine that Liz feels conflicted as well. I looked up some info on James Spader and the Blacklist to check that I’m not actually biased in my thoughts about this show and this episode in particurlar. Spader has been nominated two times and this last episode was rated 8/6 out of 10 on IMDB (Internet Movie Database). So there you go, folks. Go ahead and watch better TV! Kidding, sort of. 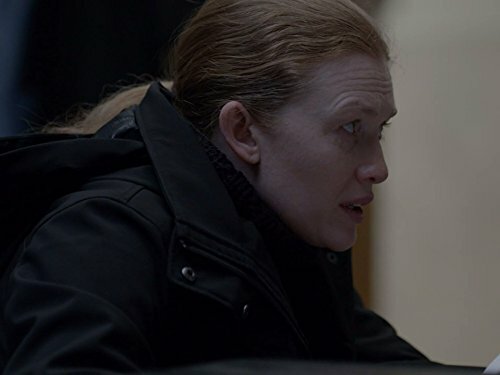 In 2013, it was announced that the television show “The Killing” was canceled. I was devastated. You may ask how can one be devastated about a TV show. You may ask why one would care so much about a TV show. I don’t necessarily have those answers for you. But you may ask. Or you may not ask because you’re reading this blog and you get it. It left us without an ending. It was incomplete. At least if I have the heads up that something may end abruptly, it’s a little easier to follow but I never expect it with quality storytelling. However, Netflix saved the day when they announced that would make the final season of the show. Such excited filled my veins. Last year, that season happened after months of waiting and it was fantastic. I may have watched the last 20 minutes of the finale 3-4 times. That’s because the ending was perfect. The story line surrounding the case was good as usual. It was unpredictable, layered, tortured and more of the good elements that you expect from a crime drama. The lives of Linden and Holder (the main detectives) are just as good maybe better than the cases because we’ve been with them over 4 seasons. They’ve had tough lives, encountered gritty situations, had their integrity tested, had their instincts checked and re-checked, and they’ve overcome and fallen. I loved the ending. It wasn’t too ambiguous but also wasn’t wrapped up in a bow and I think a show of such complexity deserves to end like that. Kudos to the cast, creators, and Netflix! I’d recommend it if you think you can handle the content.